Experts from industry will be guest lecturers in a new course offered by Boğaziçi University on the Internet of Things, the rapidly growing technology that will affect all parts of life, from smart cities to various smart applications in agriculture and the healthcare sector. We are introduced to applications of a new technology every single day. By means of the Internet of Things (IoT), the system of inter-networking of humans with objects and devices we use daily, our lives are much more integrated with technology today than five or ten years ago. The Internet of Things, from smart cities to striking applications in the fields of agriculture and healthcare, is the topic of a new course offered at Boğaziçi University. The course initiated by Professor Arda Yurdakul of Boğaziçi University Computer Engineering Department in the Spring 2017 term covers such topics as applications in technology, embedded systems, wireless connectivity, sensor technologies, big data analytics as well as their practical applications taught by guest lecturers who are experts in the industry. The course has been designed by Professor Yurdakul of Boğaziçi University Computer Engineering Department and Alper Yeğin, a BU graduate working on research, design and standardization aspect of the Internet of Things. 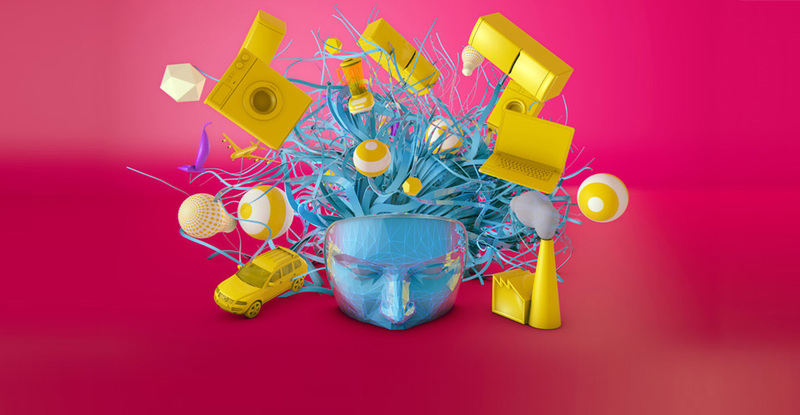 The course aims to demonstrate, with vivid examples, how IoT will alter our lives. Professor Yurdakul is also a researcher working on the next generation of Internet of Things in the Computer Architecture and Systems Laboratory (CASLAB) she has founded herself. Guest lecturers of the course include experts from widely known brands like Airties, Arçelik, Microsoft and IBN as well as managers of Small and Medium Sized Enterprises (SMEs) that have gained prominence in the rapidly developing market with their innovative solutions and products. Students will be able to participate in workshops in the industry and gain experience in design. An average of 2 connected devices are used per person in Turkey; this number is 6 in Japan. Professor Arda Yurdakul stated that by 2020, 4 billion people in the world will be interconnected by the Internet of things, and the IoT will create a new economy of over 4 trillion dollars encompassing more than 25 million smart applications, intelligent systems and over 50 trillion embedded systems. She went on to state that the developing technologies have created new perspectives and interest in some professions and have had a significant effect on the fields of healthcare, transportation, and urban administration. Smart forks can reduce your insurance premiums! “To give an example, people all around the world are using smart forks that monitor your eating rate. These forks have been designed to help solve common gastrointestinal problems such as gastritis and acid reflux condition, which are closely related with our fast life style and daily stress; these forks also help keep your weight down. The smart fork starts to vibrate if you eat too quickly, reminding you to slow down; as such, the devise slows down your eating rate and reduces some of these health problems. Do we have any good examples of the use of the Internet of Things in Turkey, particularly in terms of city administrations? “For example, some enterprising young people fresh out of university established a firm and developed a smart system that managed to reduce the cost of garbage collection and made a profit with this application. The system entails embedded sensors installed in garbage containers that monitor their fill-level and direct garbage trucks to containers that are full. Data received from the embedded system reduces the number of trips made by the garbage trucks, selects the fastest routes to the full containers, and hence reduces fuel consumption. The system is already being used by Tuzla and Nevşehir municipalities. There are many examples of the developments in the Internet of Things. Some of these developments are at the research and development stage. One of the most interesting among them is the Autonomous Intersection Management. When completed, the system will eliminate the need for traffic signals and allow autonomous vehicles, pedestrians and bicyclists to cross an intersection without stopping. People using Google Glasses or similar wearable smart technologies will be interconnected with other vehicles and/or the Autonomous Intersection Manager to regulate their speed in entering and crossing an intersection. Yurdakul added that our life styles have changed considerably with the IoT and will continue to do so: “We should not forget that before the Industrial Revolution, there was no such profession as an “engineer”. Almost everybody was a farmer. Just as mobile phones have become a reality today, so will such applications of IoT in the near future. There is no need to be intimidated by these innovations. I think young people and people like us who use technology more than others need to function as “technology translators” for others who are not very familiar with technology; I also believe that there will be many people who will specialize in this field.